José Luis Samper is a PhD. Student in Automation and Robotics at the Universidad Politécnica de Madrid. He got his graduate in Industrial Electronics and Automation Engineering in Sept 2014 by the Universidad Politécnica de Cartagena, Spain. Lately, he got access to the Phd Studies by completing his Msc. In Automation and Robotics at the Universidad Politecnica de Madrid in Mar’16. 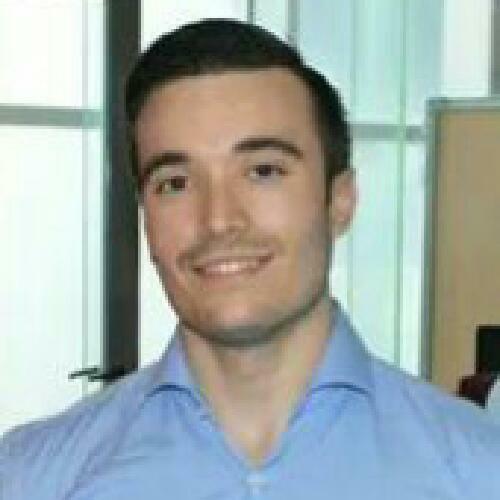 According to his Degree’s Final Project (Kinematic and force control of an anthropomorphic robotic hand for stable grasping) and his Master’s Thesis graded with honors (Analysis of a robotic arm with Gazebo and ROS for remote inspection tasks at CERN), J.Luis has consolidated remarkable expertise on ROS-based systems both anthropomorphic / prosthesis-like robots and advanced industrial robots for inspection and maintenance tasks in hazardous environments. J.Luis Samper has been an active part of the research group “Robots and Intelligent Machines” at the Centre for Automation and Robotics CAR (UPM-CSIC) since the very beginning of his studies as Msc (Sept’14). Additionally, he has collaborated with well-known international research institutions like CERN (European Organization for Nuclear Research) where he did a 5-month internship to accomplish his Master’s Thesis (Jul’16-Dic’16). Last but not least, his PhD. Studies are focused towards the development of novel soft-bio-sensorial systems and innovative control strategies for exoskeletons, including both control and actuators’ design.